Former CM Virbhadra Singh's wife Pratibha Singh was the Congress nominee from Mandi in 2014 and was defeated with a margin of 39,856 votes by present BJP candidate Ramswaroop Sharma. The Congress on Friday declared its candidates for two Lok Sabha seats in Himachal Pradesh, fielding former Union minister Sukh Ram's grandson Ashray Sharma from Mandi and former MP and former state minister Col Dhani Ram Shandil from Shimla (SC) seat. The Congress is yet to declare its candidates on the remaining two (Hamirpur and Kangra) of the total four seats in this hilly state. 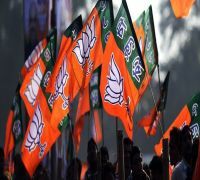 The BJP declared its candidates for all the parliamentary constituencies in the state on March 23. In the Lok Sabha elections, Debutant Aashray Sharma, 33, will take on sitting BJP MP Ramswaroop Sharma on the Mandi seat. Former Himachal Pradesh minister and former MP Col Dhani Ram Shandil will fight against Pachhad BJP MLA Suresh Kashyap on Shimla (SC) seat. Aashray Sharma, along with his grandfather Sukh Ram, rejoined the Congress on March 25. Interestingly, Sukh Ram's son and Aashray's father, Anil Sharma, is currently the Power minister in Jai Ram Thakur-led BJP government in the state. Anil Sharma is elected MLA from the Mandi assembly segment which falls under the Mandi parliamentary seat. Anil Sharma has already declared he would remain in the BJP. 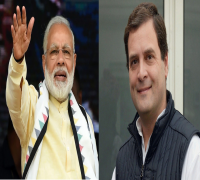 2019 Lok Sabha Election Analysis: What happened in Himachal Pradesh in 2014 polls? What will happen this year? Col Shandil, 78, was elected MP from Shimla seat in 1999 and 2004 on Himachal Vikas Party and Congress tickets, respectively. He was also MLA from Solan and remained Social Justice minister in Himachal. The Congress has replaced its candidates on both the seats.